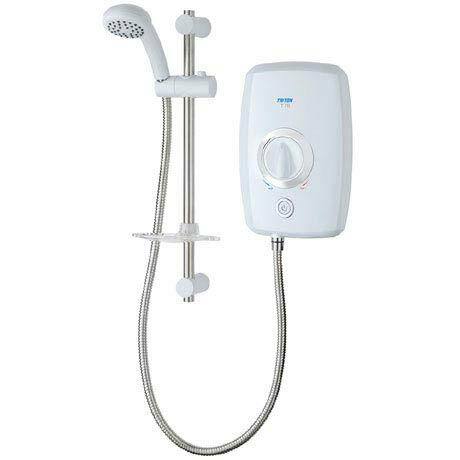 The T75 electric shower features a nice, clean and simple design that will appeal to everyone. The shower is available in a contemporary white/chrome finish and comes paired with a matching riser rail and handset so will fit in seamlessly into any bathroom decor. The T75 also features a neat overlapping front cover which eliminates unsightly cover joins found on other electric showers. This great shower is a simple and stylish addition to any bathroom.